A sport of H. 'High Fat Cream', this vigorous growing large size (24 inches high by 40 inches wide) plant was registered by Van Wade of Wade and Gatton Nursery of Ohio in 1999. The leaves are slightly rippled, cupped or convexed and have a distinct tip. It has lavender flowers in August. 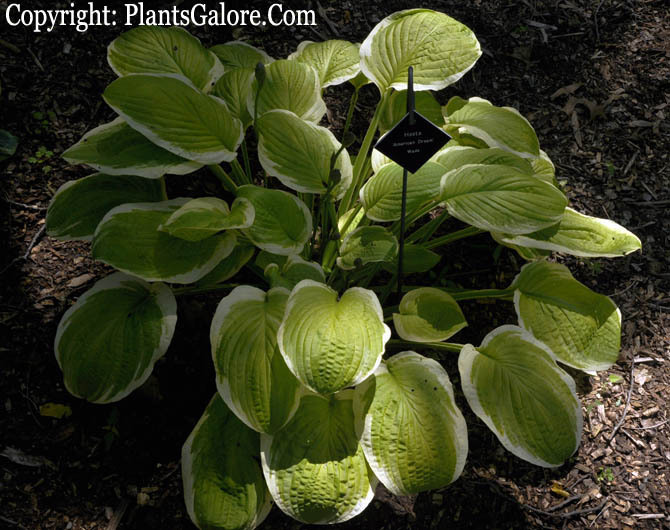 The New Encyclopedia of Hostas by Diana Grenfell (2009) states: "Slow to increase but a strong grower. A superb recent introduction...The variegated margin can be up to 2 3/4 in. 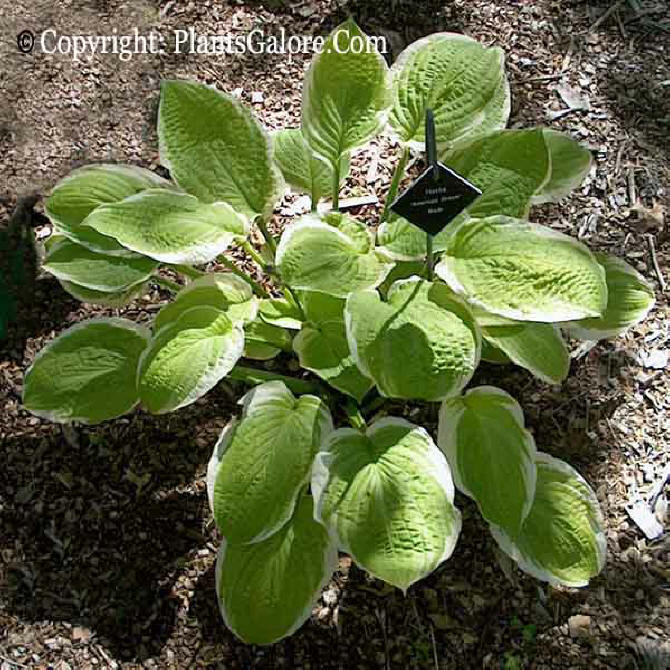 (7 cm) wide, which is wider than that of hostas with similar coloring." Similar cultivars include H. 'Gaiety', H. 'Joshua's Banner', H. 'Lakeside April Snow', H. 'Sea Dream' and H. 'Saint Elmo's Fire', H. 'Sunshine Glory' and H. 'Zodiac'.